Well, I guess I keep everything on my Facebook album for all the stuffs I cook. 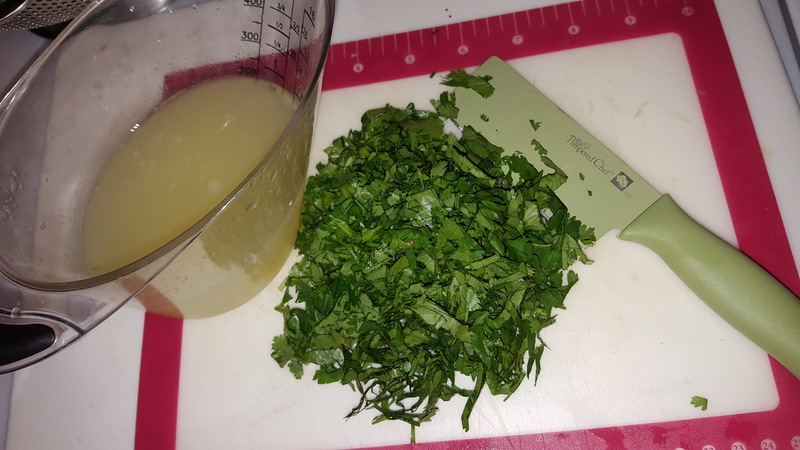 I was looking for how I made this chicken salsa Verde and could not find it here. It is my son’s favorite. I usually serve them with cilantro lime rice. 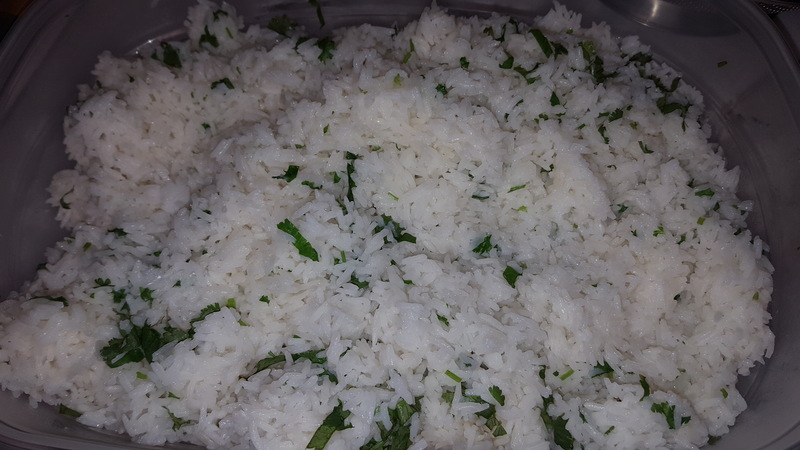 He does not really like rice plain, but this cilantro lime rice…boy he loves that. 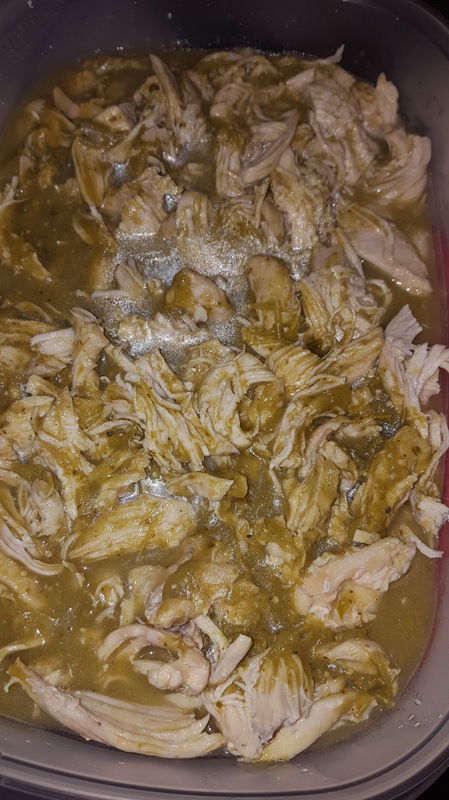 Ok there’s 2 way of making this chicken salsa Verde, which also good with pork. The cheating way is using jar salsa Verde. If I do that, I usually use 1 jar with 2 bone in chicken breast. And that’s it. Put everything in, manual 15 minutes, done. Just have to shred the chicken breast and put them back into the sauce. Add 1 tablespoon fish sauce and you are super mom, at least for my son. The long way to make it, hahaha longer way because it is all from scratch and the preparation takes longer than open the jar. But it is so worth it. 2 Anaheim pepper seeded if you don’t like too much heat, this goes for all pepper below. All in the Pot, no water because the chicken and all peppers and onion will release the juices under pressure. Who doesn’t lol. Closed the lid and vent and press manual 15. When it beeped, let it sit until all pressure is gone, open the lid, take the chicken out and you can shred them. Before you put them back in the pot, add a handful of cilantro and a tablespoon of fish sauce. 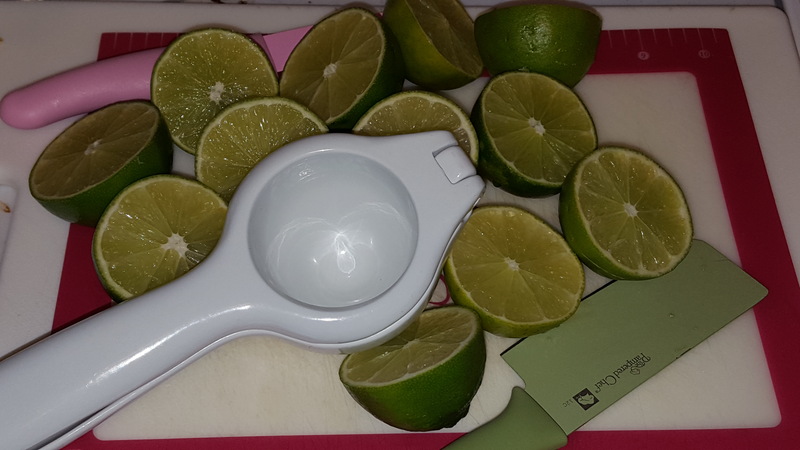 Use a hand blender or dump the sauce in a blender and blend until smooth. Put the chicken back in the sauce and serve with cilantro lime rice with sliced avocado, cheese. For the cilantro lime rice, cook the rice of your choice as you would your rice. 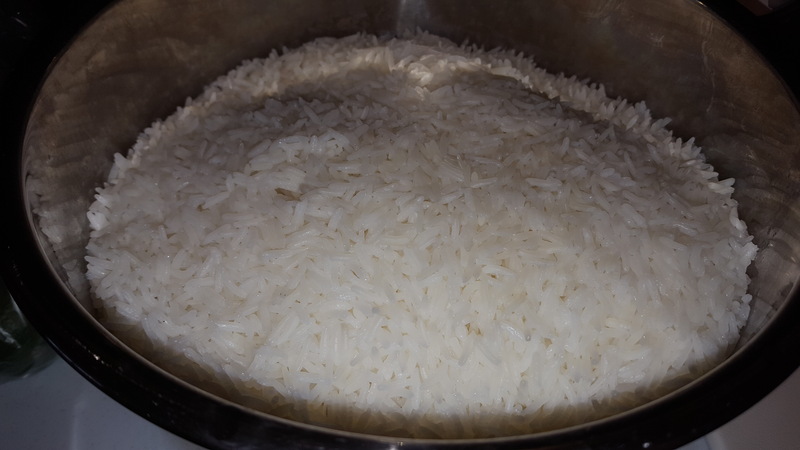 I like jasmine rice equal mount of rice and water 12 minutes in Instant pot. Usually I do 2 cups rice with 2 cups water. 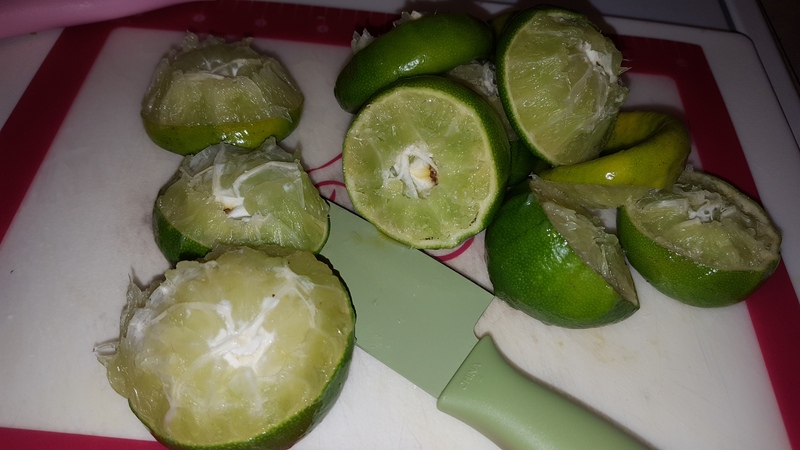 Once it is cooked, add 1/4 cup fresh squeezed lime juice, a pinch of salt and a handful of chopped cilantro. Toss them and serve with the chicken salsa Verde on top. I think you can easily make this in the crock pot, though I highly suggest you get the Instant Pot. 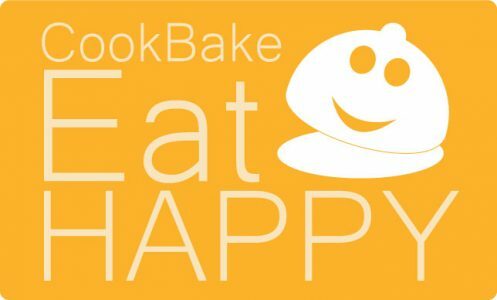 I am affiliated with Amazon so if you decided to purchase by clicking on the link I gave you, then I will get a little percentage, not big, just enough to cover my blog maintenance fee. Imagine cooking time 4 or 8 hours in crockpot being reduced to 15 minutes? Can’t beat that. And it is fresh ingredients. 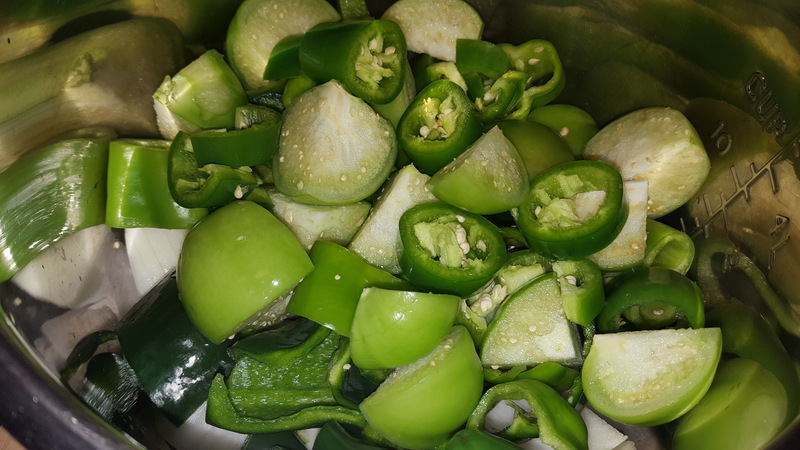 By using the pressure cooker, the nutrients is trapped inside the food and it is also packed with flavor. Try it, you won’t regret it. It does take time to come to pressure and for you to get to know each other and how pressure cooker works. It is not a matter of wiggling your nose and it’s done. 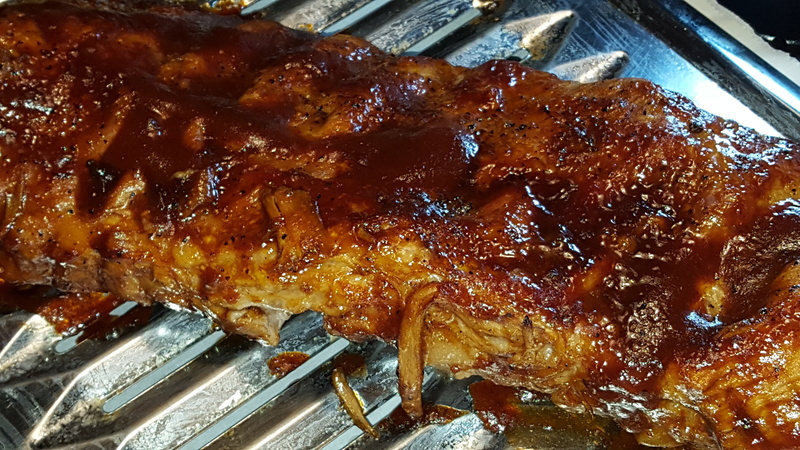 Think about ribs, my best one that my son love is the one I did in crockpot for 8 hours. He loves that and did not want ribs from restaurant anymore. He said they are not as tender and flavorful like mine. 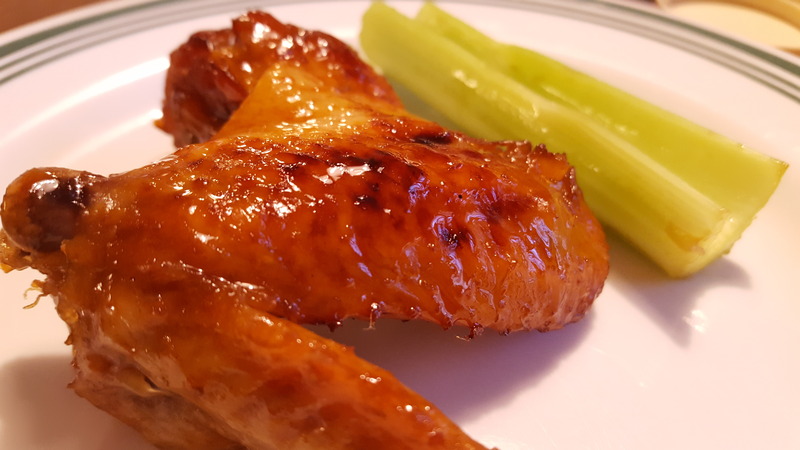 Then I made them in Instant Pot for 25 minutes and just brown under broiler, just to get the charred…finger licking good it was. Oh here is the ribs we just had couple nights ago. 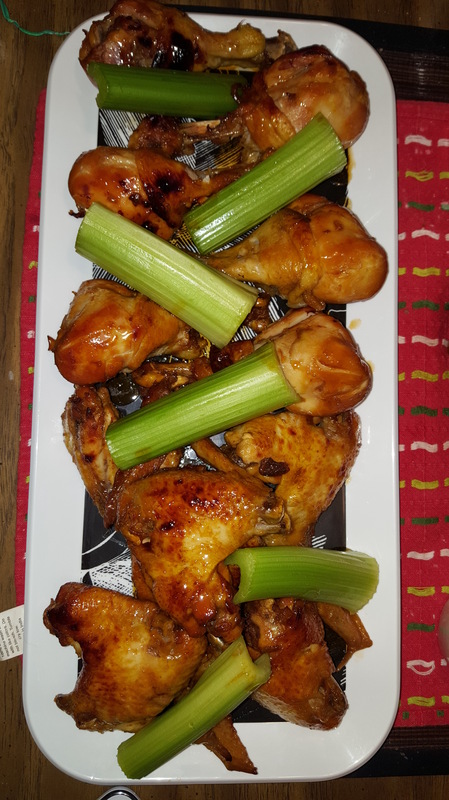 And last night we did wings and drumstick with honey garlic sauce in 10 minutes. And tonight, chicken tortilla soup in the menu. I think 15 minutes as well. We’ll see. And I will post the recipes for the ribs, wings and chicken tortilla soup later.